Many individuals have contacted Changing Lives Through Literature and inquired about starting a program in their area. One of the first steps in starting a program is understanding the key roles involved in developing and sustaining successful sessions. The following essay, taken from the CLTL website, offers insight into one of these important roles–the CLTL instructor. The instructor in Changing Lives Through Literature brings his or her love of literature to the table and, unlike many teachers in the regular classroom, acts as a facilitator. That is, he or she facilitates the discussion, makes it happen, provokes it, sometimes structures it, and at other times allows it to flow freely. The instructors leave at the door their need to impose an agenda on the classroom or to insist upon one meaning for a text. They are ready with questions and ways to stimulate conversation. The goal is to find practices that engage students in the literature, the characters, and the themes, and to uncover questions that come from the texts. While the methods and strategies vary from classroom to classroom and teacher to teacher, the emphasis is always on involving the student (see Why Reading?). The instructor’s role includes deciding on the logistics and rules with other team members, such as how many weeks the course will meet, where best to hold the class, or how to deal with tardiness or absences (see Rules and Guidelines). Most instructors are affiliated with a college or university and arrange to have CLTL programs meet on campus. Instructors who are not affiliated with a college or university arrange to meet in libraries or other noncourt settings whenever possible. Some classes are held in community corrections centers and a few in prisons. But the important thing here is that the instructor should be involved in these decisions, if possible, because the more you, as instructor, function as part of a team, the more invested you will be in the program. The instructor usually chooses the literature that will be read by the students. The number of sessions you plan will be crucial in determining the kind of reading material. 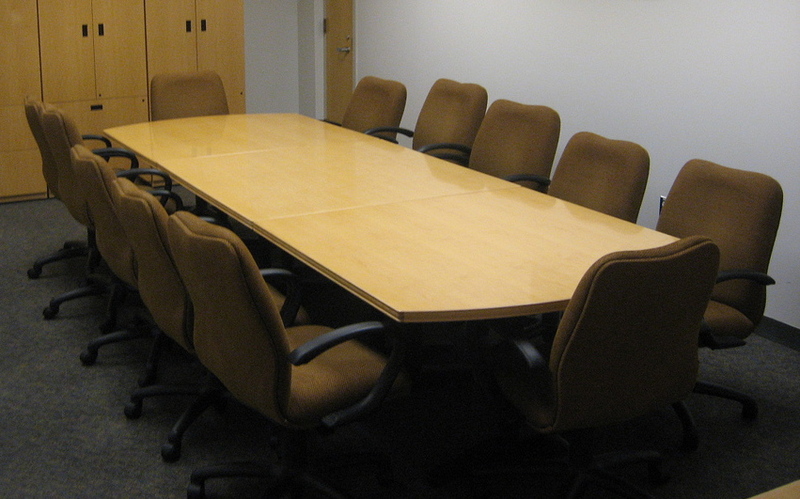 Some groups prefer 6 meetings over 12 weeks; others meet 7 or 8 times over 14 or 16 weeks. Some meet every week for 10 or 12 sessions. In general, most groups meet every other week. If you meet frequently, you may want to assign short stories, but most groups meet weekly and use novels. The website offers a wide range of suggested instructional materials to help the instructor get started. Choosing the books also means thinking about your goals for each class and choosing the kinds of ideas you will be focusing on during your meetings and the issues that will grab the students during their week away. Most instructors do not know the details of why their students have been assigned to the CLTL program, but knowing some of the more general characteristics of your group may help you make better reading selections. The blog — which features biweekly posts on topics at the intersections of literature and criminal justice — counts among its authors and readers a score of judges, probation officers, professors, graduate students and many others from the United States and abroad. Jenni Baker, marketing and media adviser of the program and a second-year graduate student at UMass Dartmouth, initiated the blog late last year and has seen it spark insightful posts on literature and criminal justice. Massachusetts professionals have been some of many who have posted and commented on the blog, including UMass Dartmouth Education Professor Maureen Hall and Executive Director of the Massachusetts Supreme Court Ronald P. Corbett Jr. While Hall’s posting, “The Benefits of Deep Reading: Neuroplasticity in Action,” investigates how deep reading can alter the structure of the brain, Corbett’s “Buber in Brookline” uses the insight of philosopher Martin Buber to advocate for mutually receptive and respectful relationships between judges and criminal offenders. Dr. Robert Waxler, a UMass Dartmouth professor of English and one of the founders of the Changing Lives Through Literature Program, said he is pleased with the blog’s success thus far. Baker admitted she was a bit skeptical of Changing Lives Through Literature at first, but said it has truly been effective. After attending the first few sessions, she said she saw a real difference in the offenders. Lori Bradley is a graduate student working on her the Master’s Degree in Professional Writing at the University of Massachusetts Dartmouth. She holds graduate degrees in art and art education and teaches in the Art Education Department at UMD. She maintains a studio in New Bedford (http://www.hatchstreetstudios.com) where she creates art that embodies a sense of place. She loves dogs. My mother always referred to my hometown in the flat Lake Ontario basin of northern New York State as “Nowhere.” I grew up with that idea, but I also knew differently. I knew there were mystery and drama in the flat farmlands and small towns. We were not in the least living in “Nowhere”. All this was confirmed for me in later years as I read Joyce Carol Oates’ novels set in the vast hinterlands of New York north-of-the-City. Later, I became even more deeply attached to the region after spending a wonderful summer in the Adirondack Mountains reading Fenimore Cooper’s Leatherstocking Tales and hiking through the same atmospheric woods. Literature generates a sense of place – a connection that sometimes leads to love. Through reading, place becomes a character in it’s own right, filled with mysteries, intensities, and idiosyncrasies – like any human being. Embodying love, a sense of place can lead to increased desire to preserve it. 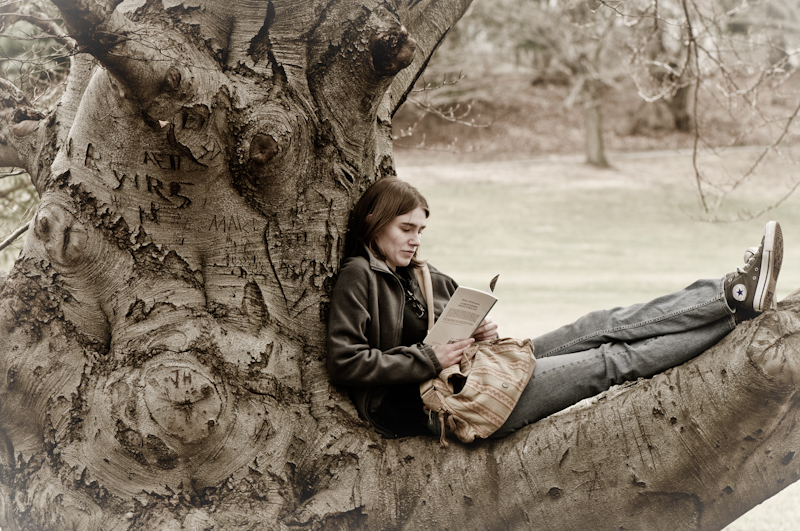 Proponents of today’s deep ecology movement stress the value of reading in developing the strong sense of place that inspires preservation efforts. And, preservation doesn’t extend only to wilderness. This weekend, I went to a local film festival and was gratified to see fresh stories about my new hometown, New Bedford, 150 years after Melville so compellingly portrayed the city. Young residents are creating a series of short films about the people who call New Bedford home. The stories reflect grittiness, struggle and grime but also a determined sense of pride, protectionism, and love for the city. Join Mindy Todd, weekdays at 9:30am and a repeat broadcast at 7:30pm, for lively and informative discussion on critical issues for Cape Cod & the Islands. Juvenile vs. Adult Corrections: How Do They Stack Up? Radek M. Gadek is a graduate of the Boston University’s Master in Criminal Justice program. He is the founder of Criminal Justice Online, an interactive blog dedicated to criminal justice academia and law enforcement careers. Since its inception, the correctional system in the U.S. aimed to keep crime out of the streets. There are notable differences, however, when it comes to the way juveniles and adults are ultimately being helped while within the “system.” One must consider the age of an adult person in the United States is eighteen, and often, this is where the line gets drawn between being convicted of a crime as a juvenile and as an adult. As long as a juvenile is being tried in a juvenile court and is convicted of a crime there, they will not enter the adult facilities until they turn the legal age of adulthood (exceptions apply). This makes a huge difference when it comes to rehabilitation, suppression of future crimes, and length of sentence. Services found to be effective in juvenile justice include: smaller, 15-25 bed, programs that reduce violent incidents; low staff/student ratios that lead to higher academic achievement; five hours of academic instruction per day (usually required by law); cognitive restructuring programs that, among other things, help young people understand thinking errors which get them into trouble; and gradual returns to the community from secure facilities through day treatment which reduces recidivism, results in higher levels of academic achievement and provides more connections to employers. This kind of care is not fully available in the adult correctional system-it focuses stringently on punishment and offers only a handful of rehabilitation initiatives when compared to its juvenile counterpart. It’s a shame. Even though many first time offenders commit crimes before their 21st birthday, society contends such services would not work well with adult prisoners and would be a waste of taxpayer money at the benefit of “hardened” criminals. 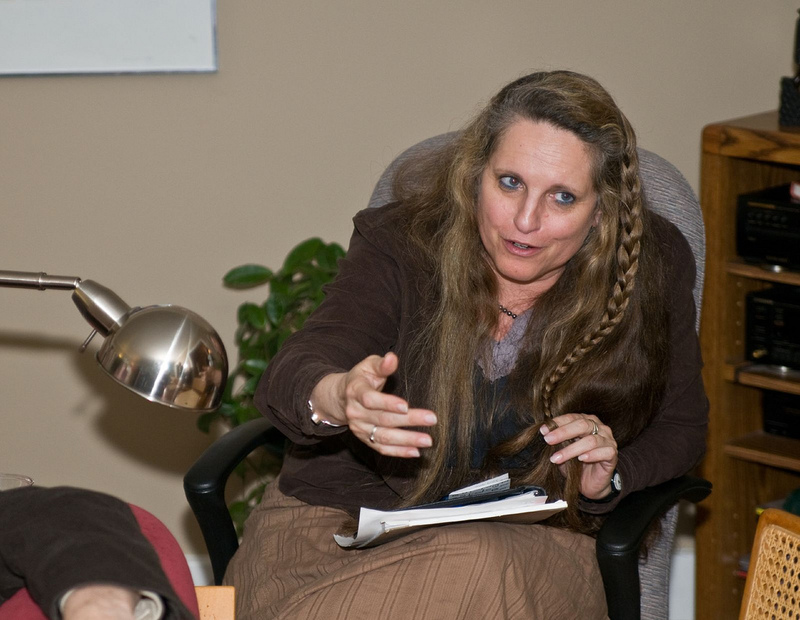 Jill Carroll is Adjunct Associate Professor of Religious Studies at Rice University in Houston, Texas. She is the Executive Director of the Boniuk Center for the Study and Advancement of Religious Tolerance, an organization that promotes conditions conducive to sustainable peace among persons of different religions. The choice of an academic class location is very important to the overall goal of Changing Lives Through Literature for several reasons. First of all, many of the participants had never stepped foot on a college campus. This fact alone raises the importance of having CLTL classes offered on a college campus if for no other reason than to give probationers the experience of being on a college campus and of sitting in the classroom where college students sit and learn and earn degrees. Students sitting in a CLTL class for six sessions have the opportunity to create another mental picture of themselves and their future, a picture that has them achieving something for themselves in an environment that most of them thought was off limits to them because of their background, lack of training or skill, socioeconomic status, or other factors. I made the most of this in my classrooms with my participants. I reminded them several times over the course of the series that I was a college professor and that I had experience with college-level students, that they were reading and discussing texts that I routinely taught in my own college classes, and that many of their insights were as good and strong as those made by my students in the university. I used the physical fact of our classroom environment as a tool to create with them an alternative vision of their future, a vision that had them sitting in those same chairs at those same desks taking courses for credit and earning degrees. In short, I used it to expose them to a world and way of living different than most of them had experienced directly, a world that could be theirs as well as anybody’s. Arthur Longworth, 43, has been incarcerated since age 18. His youth was spent in a variety of foster homes–usually for only two or three months at a time. He was separated from his sister at an early age and, in his teens, he lived in a series of youth facilities. At sixteen he was released to the streets with no means of support. he had only a seventh grade education and began life in Seattle breaking into cars and doing petty criminal activity. At age 18 he escalated into armed robbery and in one holdup a victim was killed. 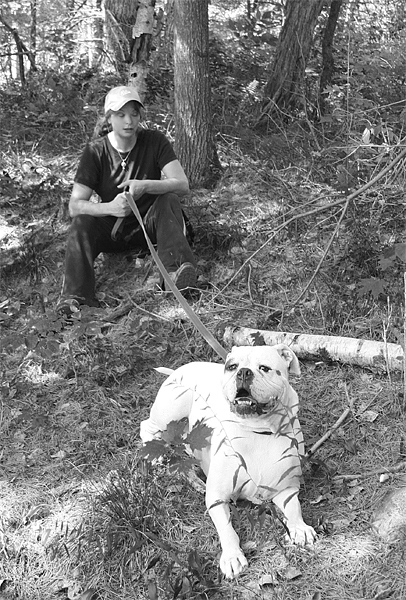 Arthur was convicted of first-degree murder and sentenced to life without parole. After he arrived in prison he asked to go to school to get an education. He was told that as a “lifer” he wouldn’t need an education. Eventually he visited the library and educated himself. He is a PEN prisoner writing award winner and has published one of his Prison Diary at the Anne Frank Center in New York City. Longworth’s writing have also recently appeared in Iconoclast, a New York literary magazine. The diary itself is a collection of eleven short entries reflecting on Longworth’s experiences in the Monroe Correctional Complex in Washington. The following are short excerpts from the eighth essay, “About Education” and reflect on the power of literature to touch the lives of offenders. My favorite is a small book entitled One Day in the Life of Ivan Denisovich–the story of a day in the life of a prisoner in the Soviet Union. I love that book, not only because it reflects the strength and perseverance of the human spirit in the face of seeming hopelessness but, because it could have only been written by a prisoner…only a prisoner can know of so many of the things he wrote.In fact the book startled me when I read it because I knew it was written about prisoners in another country, during a different time, under different circumstances, yet I felt as if I was reading about prisoners and guards I know, what goes on here, and what goes through many of our minds while we’re experiencing it. There were so many parallels, I couldn’t help but feel close to them. Of course, I am conscious that Ivan and many of those in prison around him were political prisoners, and I am those around me are criminals, but there is still a connection…and that connection is that we are human beings. Maybe I am deluding myself, but I have always felt that Mr. Solzhenitsyn would be able to relate to what is going on here with many prisoners…feel as close to us as I have always felt to him. Getting a sentence of Life without Parole when you are young is hopelessness. Continuing on after that, learning to survive in an American prison and proceed forward as decades stack one atop another, and you have long since forgotten what is on the other side of these walls, is perseverance of human spirit. 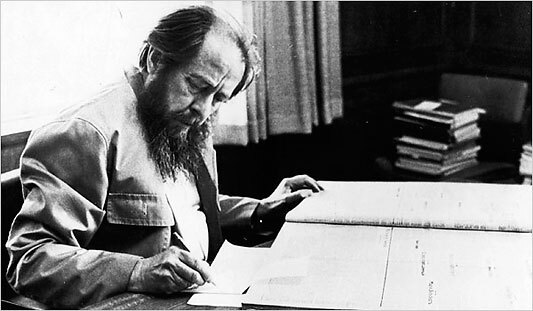 Mr. Solzhenitsyn’s writing inspired me as a young prisoner to continue my efforts to educate myself and, eventually, led me to write a book modeled after his One Day in the Life of Ivan Denisovich. 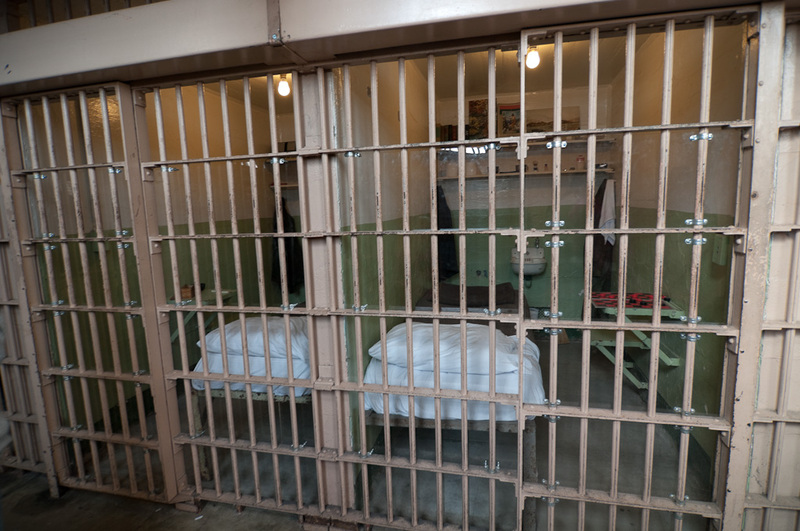 It’s a manuscript that is passed from convict to convict; the story of one day in the life of a prisoner inside the prison in which I grew into adulthood and have spent most of my life–the prison in Walla Walla. When officials there discovered a copy and read it, they threw me in the hole and revoked my medium-custody classification. But the manuscript still makes it rounds. Prisoners read it because it puts words to what they are unable to, relates the truth about prison, and what it does to those who are in it. I have always felt that Mr. Solzhenitsyn is as responsible for the existence of this convict manuscript as I am. I created Peace Through Fiction (PTF) as a dialogue method anyone can use with any novel as a way to increase personal and interpersonal peace. Finding a Voice by Jean Trounstine and Robert Waxler confirmed for me what my initial research suggested: Changing Lives and Peace Through Fiction share great similarities. Both provide methods for using fiction to transform our inner lives, behavior, and relationships. Both have frameworks incorporating open questions to guide reflection and dialogue. Both advocate the essential components of empathy, equality, and bringing assumptions into the open. They differ in one key way: PTF steers readers toward personal stories, using a novel’s characters as springboards. There are also differences of group size (PTF can be done solo) and group members (anyone can use PTF). Like CLTL, Peace Through Fiction is unconventional. After all, fiction isn’t real, so how can it create peace in our real lives? Here’s what I’ve come up with. Fiction isn’t real, but the way we personally experience a novel’s characters is real. Reading is a social act: through a shared language, we experience another person’s story. And peace in the world begins with peace in each of us as individuals. So, with the right questions guiding us, we can use fiction to increase our personal and interpersonal peace. The Sentencing Project–a national organization working for a fair and effective criminal justice system by promoting reforms in sentencing law and practice, and alternatives to incarceration–released a new fact sheet this month entitled “Facts About Prisons and Prisoners.” Check out the statistics below. • The number of inmates in state and federal prisons has increased nearly seven-fold from less than 200,000 in 1970 to 1,540,805 by midyear 2008. An additional 785,556 are held in local jails, for a total of 2.3 million. • As of 2008, 1 of every 131 Americans was incarcerated in prison or jail. • The number of persons on probation and parole has been growing dramatically along with institutional populations. There are now more than 7.3 million Americans incarcerated or on probation or parole, an increase of more than 290 percent since 1980. • One in ten (10.4%) black males aged 25-29 was in prison or jail in 2008 as were 1 in 26 (3.8%) Hispanic males and 1 in 63 (1.6%) white males in the same age group. • Nationally, 69 females per 100,000 women are serving a sentence in prison; 957 males per 100,000 men are in prison. • The 2008 United States’ rate of incarceration of 762 inmates per 100,000 population is the highest in the world. WHO IS IN OUR PRISONS AND JAILS? • 93% of prison inmates are male, 7% female. • As of 2008, there were 207,700 women in state and federal prison or local jail. • 40% of persons in prison or jail in 2008 were black and 20% were Hispanic. • 63% of jail inmates in 2008 were unconvicted and awaiting trial, compared to 51% in 1990. • 82% of those sentenced to state prisons in 2004 were convicted of non-violent crimes, including 34% for drug offenses, and 29% for property offenses. • 1 in 4 jail inmates in 2002 was in jail for a drug offense, compared to 1 in 10 in 1983; drug offenders constituted 20% of state prison inmates and 55% of federal prison inmates in 2001. • Black males have a 32% chance of serving time in prison at some point in their lives; Hispanic males have a 17% chance; white males have a 6% chance.